Throughout history, bridges have been one of the most targeted structures on the battlefield, as opposing forces do everything in their power to blow them up and cut off incoming supply lines. After a bridge is destroyed, a new one needs to be established, or occupying forces can risk losing their resupply sources permanently. In World War II, Japanese, Italians, and German armies used explosive motorboats as a technique to take down allied bridges. Enemy troops in scuba gear would point these motorboats in the direction of the bridge's supporting structures and bail out right before the vessel strikes and detonates. The explosive motorboats in action. (Images via Giphy)Because of the effectiveness of the explosive motorboats, allied forces needed to create a portable bridge that could be quickly set up and could handle the massive stress of getting blown up. The resolution came from an unlikely source — the mind of a British civil servant named Donald Bailey. While returning home after working at an experimental bridge, an idea popped into Bailey's mind. 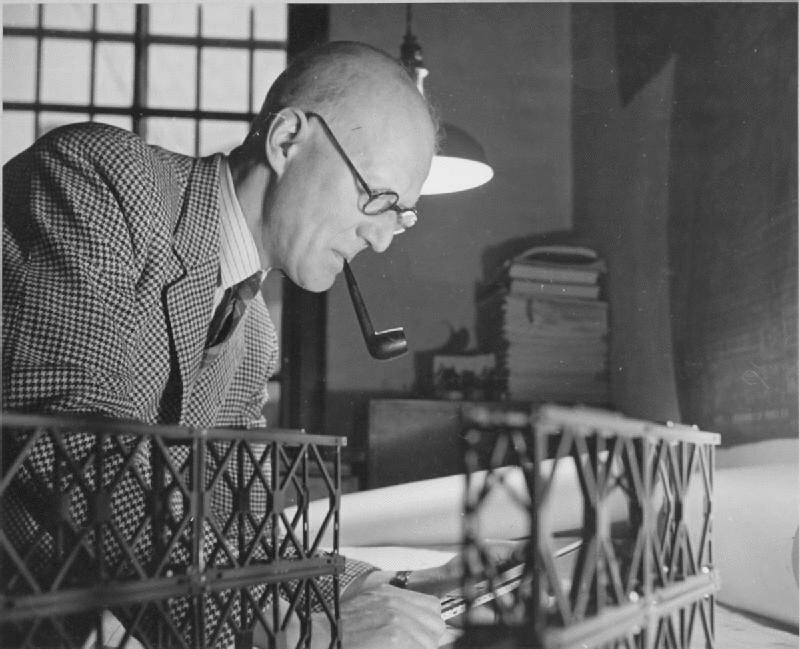 He began sketching out the new architectural idea on the back of an envelope — something that later became the "Bailey Bridge." This new creation could support large armored tanks across 200 feet of water and set up quickly just by using some wrenches and a few engineers. "The Bailey bridge is a very fabricated bridge, and it can be broken down into parts, trucked to a site, and then reassembled in a big hurry," military historian William Atwater explains. After being successfully set up under fire during the Battle of Monte Cassino in Italy, President Dwight D. Eisenhower reportedly claimed the bridge was one of the pieces of equipment that most contributed to the victory in Europe. Check out Lightning War 1941's video below to see how this quickly fabricated bridge helped change the course of the war.